But what they don’t realize is that horsemanship, true horsemanship isn’t just round pens and body language, it is EVERYTHING you do with your horse! The way you ride, your mindset, how you manage your horse’s environment and health are all part of it! Can you identify your horse’s personality and potential behavioral issues which may arise because of it? Do you know how to optimize your horse’s nutrition to maintain and improve health and stave off bad behavior? Do you trust your horse? Does your horse trust YOU? These topics and much much more will be covered in my upcoming webinar series starting December 11th. 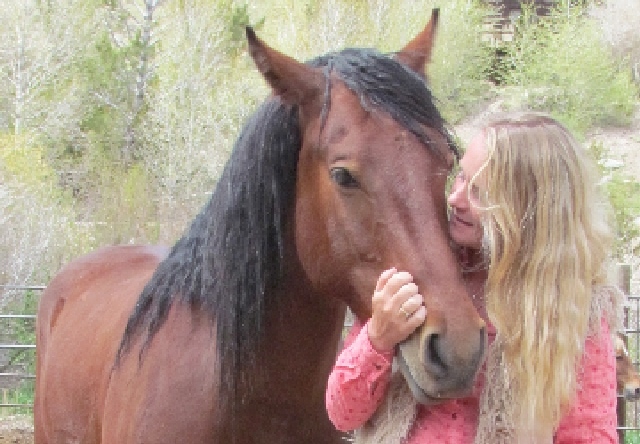 It’s called “The World of Holistic Horsemanship” A 6-Part Webinar Series. On December 11th, and each Wednesday (except the Christmas and New Years Holidays) through January 29th, you can join me for ground-breaking instruction in natural and holistic horsemanship. For 2 1/2 hours each session, and throughout the whole series, not only will you get my instruction, but I have invited 3 legends in the world of horsemanship, training and care to share their secrets to successful horesmanship. And the best part, if you confirm your registration before December 9th, you’ll only pay $147 for the entire series!!! There are limited spaces reserved for this series, and I expect them to be gobbled up fast. So make sure you don’t miss out. You’ll be getting a comprehensive download of not only much of what I know, but the knowledge of some very specially-selected experts. Beginners to natural horsemanship and the Reach Out To Horses method will receive invaluable tips, tricks, skills, and knowledge to start them on the gentle path of natural horsemanship. But, the seasoned pro will also find lots of inspiration and information to make building trust and caring for your horse easier and more beneficial to both of you. I look forward to having you on our calls. P.S.-Remember, there are limited seats in this webinar, so make sure you don’t delay! Previous postAnna and X find themselves on the cover of The Valley Equestrian! Next postThe 2014 ROTH Calender is Up!